WHAT TO DO IF YOU BECOME INJURED AT WORK? If you got injured at work, you need to file your claim without any delay. Under California Workers’ Compensation Law(1), to start the process of receiving your workers’ compensation benefits, you must report your work injury to your employer as soon as possible after it occurs. To report your work injury and start the process, you need to file a “Claim Form” (DWC 1) with your employer. Your employer must then file the workers’ compensation claim with its workers’ compensation insurance carrier so that your workers’ compensation claim will be paid and your treatment begins. Since the workers’ compensation system is a no-fault system, you do not need to prove that your employer is at fault for your injuries. 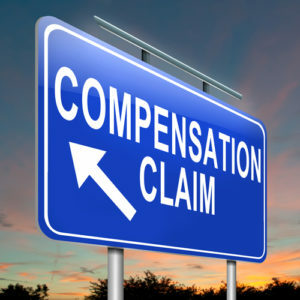 However, a number of other obstacles may stand in the way of collecting benefits in your workers’ compensation case. Your employer, its workers’ compensation insurance carrier, and its lawyer might claim that your injury or health issue is not work-related, or may disagree as to the nature and extent of your injury. As a result, they may refuse to pay all or part of your claim. In some instances, an employer may try to prevent you from filing your workers’ compensation claim or retaliate against you when you file a workers’ compensation claim. Your employer, its insurance carrier, and the legal team may use the ever-changing and complex workers’ compensation system in any way they can to make this process as difficult as possible. If you have been injured on the job, a local Inland Empire workers’ compensation attorney can help you deal with all your physical injuries as well as any industrial diseases that result from your job duties or work injury which are covered by workers’ compensation. A local workers’ compensation lawyer can help you with the proper preparing and filing of your workers’ compensation claims at the Worker’s Compensation Appeals Board, which is the designated court for the litigation of workers’ compensation claims. A California workers’ compensation lawyer can help you overcome any hurdles, advocating on your behalf to ensure you receive your legally entitled benefits and treatment. WHO MAY FILE A WORKERS’ COMPENSATION CLAIM? Generally, in most instances, only injured workers may file a workers’ compensation claim for their own work-related injury or illness. However, in those instances where the injury or illness results in death, spouses and other dependents of the injured worker also may file a claim for burial expenses or death benefits through the workers’ compensation system.